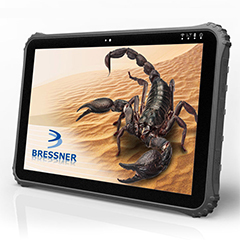 Scorpion 10″ PLUS – Windows is an Industrial Tablet built by BRESSNER Technology GmbH for everyday use in the extremist conditions. 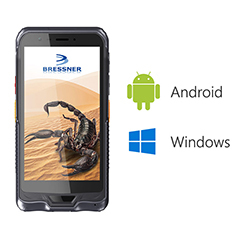 This Industrial Android Tablet is specifically designed with a high performance processor and strong construction that makes the tablet most suitable for the various industrial purposes. 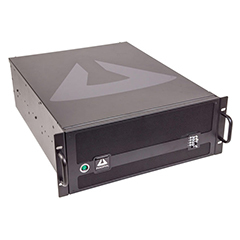 Powered by an Intel Atom Z8350 Quad-Core processor with 1.44-1.84GHz speed. 10.1 inch display with a resolution of 1280 x 800 pixels. Integrated 5.0 megapixels back camera with LED flash and 2.0 megapixel front camera captures best quality images, videos, and documents. 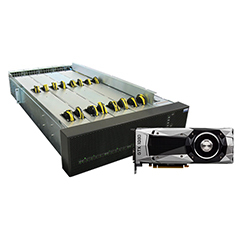 Capable of operating in a high temperature ranging from -20 °C up to 60 °C and humidity of up to 95 percent. Well protected by Corning Gorilla Glass 3 and shock resistant. 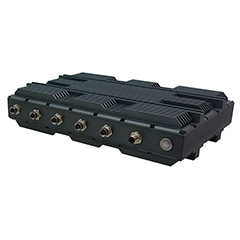 Connectivity options include WiFi, Bluetooth 4.0, uBlox GPS, 4G – Built in FDD-LTE support B3/7/20. Product Dimension: 272 x 195 x 22 mm, and Weight 1014g.